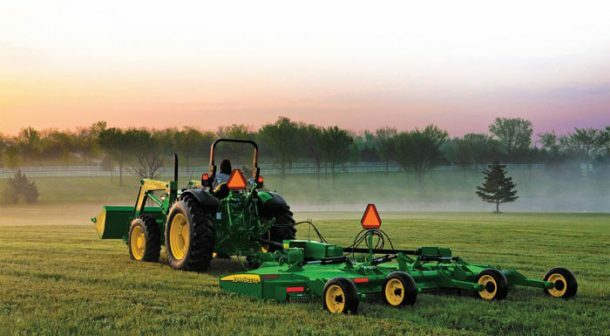 When you buy a tractor, you’re making a significant investment in the future of your property. As with any vehicle or equipment, plenty of things can go wrong. If you have a question or a problem, will your dealer make the time to talk to you? Choosing a dealer is almost as important as choosing a brand. Some dealers offer no customer support beyond the sale. When the ink is dry, your relationship is over. Until you’re ready to buy something else. A reputable tractor dealer has a lot more to offer than a quick sale. Before you buy, call around and ask questions. If a dealer can’t tell you when you’ll need your first oil change or what kind of tires work best on a slope, call someone else. Reputable dealers care enough about their customers to know the answers, and are more interested in giving you exactly what they need than in selling what they need to get rid of. Your tractor dealer is your friend, your mentor when you need help, and your mechanic when you need service. They are not fast-talking salespeople trying to get you out the door and move on to the next sale. 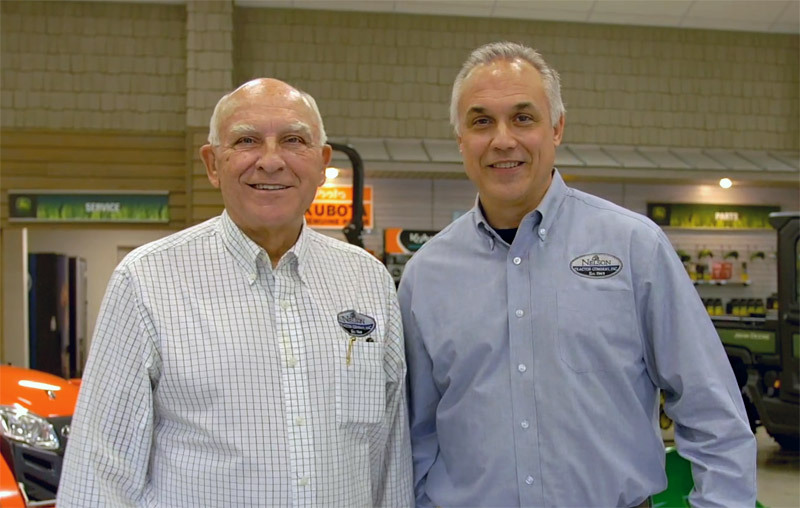 Call us biased, but we like the personal touch of small, family-owned dealerships with deep community roots. Maybe it’s the legendary southern hospitality we were raised with, but we really do like building personal relationships with our customers. We make time to ask questions and find out how to meet your needs. That means we ask a lot of questions about your property and what you want to do with your lawn and farm equipment. If we’re not close enough to be your dealer, look for a dealer who will treat you like family and offer all the service and advice you’re going to need. Whether you’re a John Deere tractor diehard, a Kubota tractor lover, or come in wearing a bright blue New Holland cap, your dealer should know what equipment best fits your needs. Because what’s worse than not having enough power when you need it, or buying cheaply made, off-brand attachments that crumple when you try to use them? When you have a problem, you need a dealer that cares, and when you bring your tractor in for service, you need a dealer that puts you first, and one who will be honest and upfront about what you need – and what you don’t.